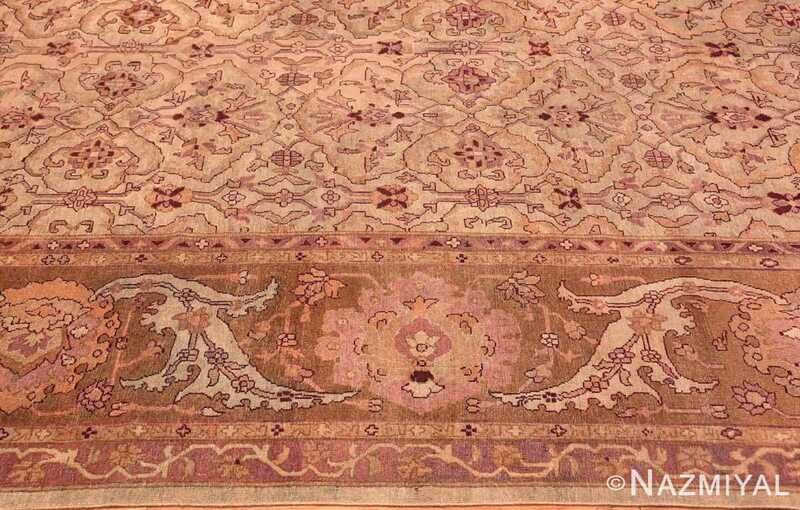 A gorgeous antique oversized Indian Amritsar rug with beautiful floral patterns, Country of Origin / Rug Type: Indian Rugs, Circa date: 1900 – Soft warm touches of green, crimson, roses and creams make this palatial oversized antique Indian Amritsar rug a spectacular sight to behold. 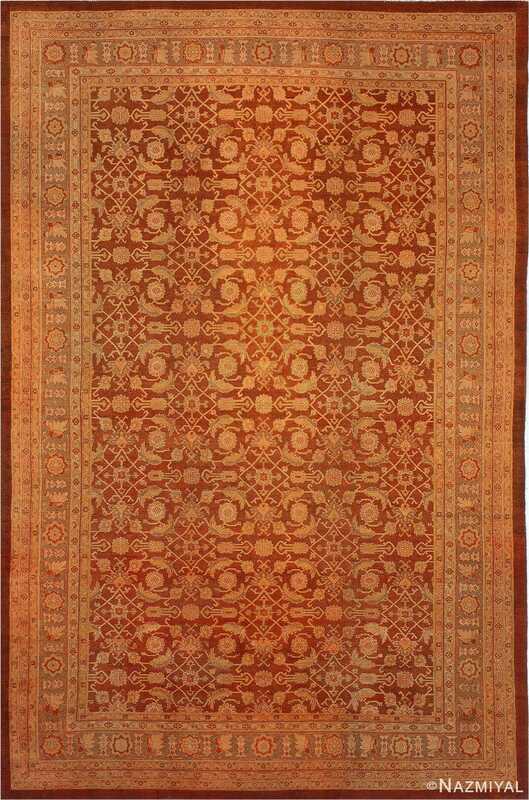 This highly artistic and beautiful antique rug was woven around the turn of the 20th century in the area of the northwestern state of Punjab. 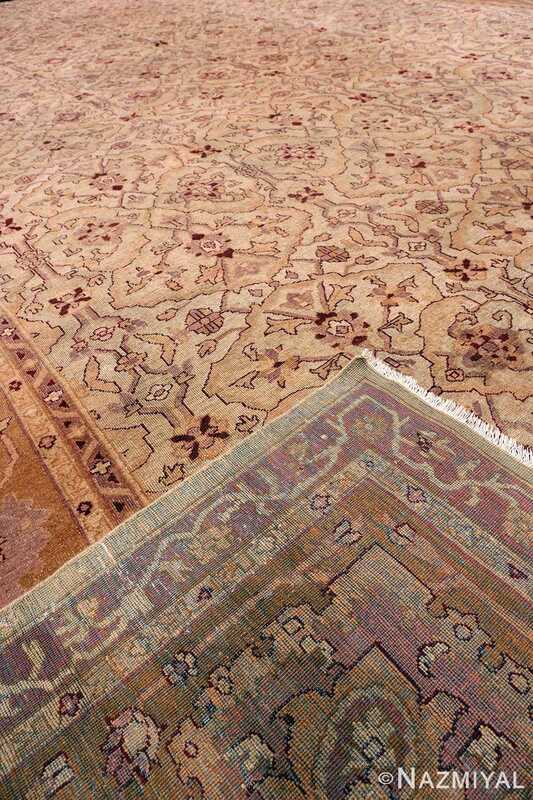 This ancient Indian city is located in an area that is situated in a lush landscape filled with temples and palaces. 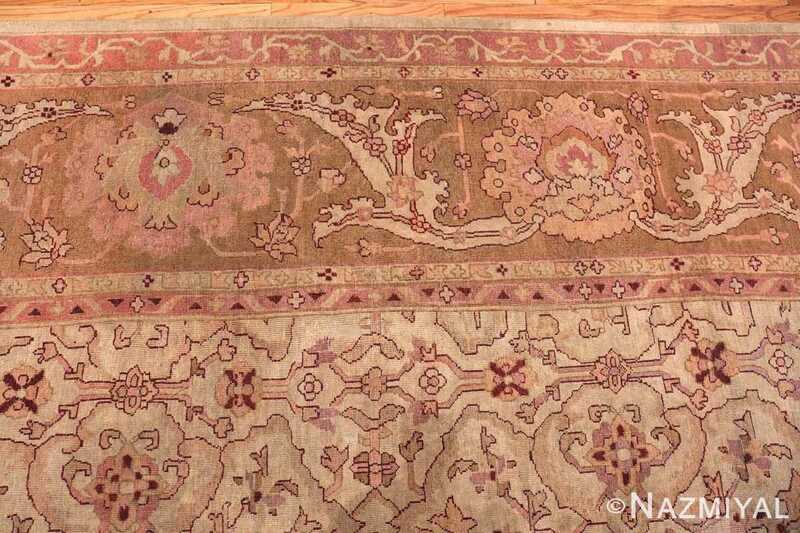 The unusual oversize rug configuration and the level of detail in this antique Oriental rug hints at its regal history. 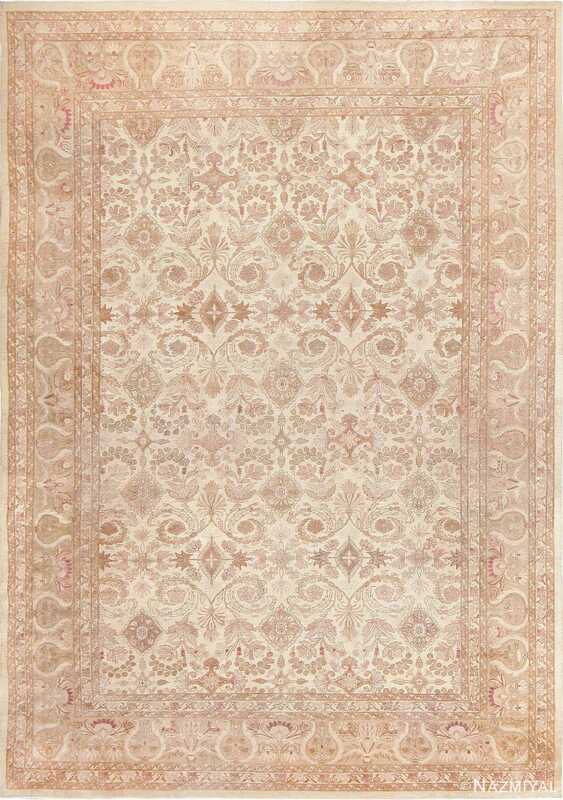 The allover design of the field of this extremely decorative rug features delicate floral and gracefully undulating leaves. 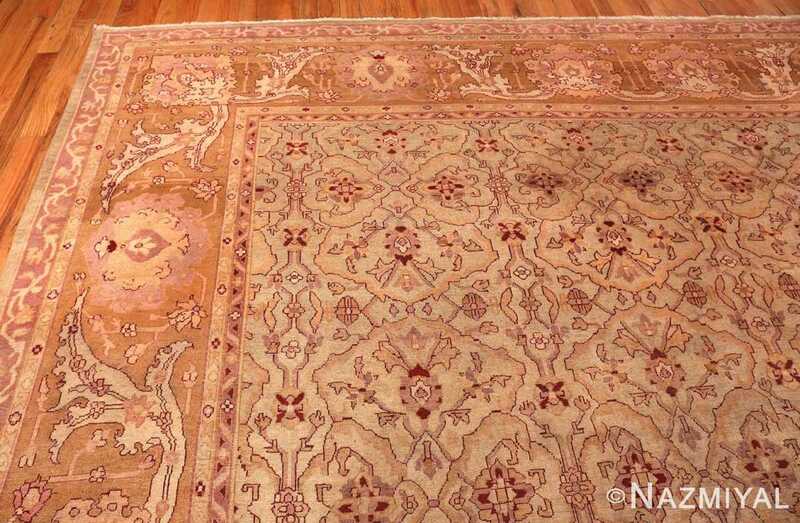 The main border is quite elegant in its expansive feel. It also features larger scale floral patterns that are interconnected though a beautiful rendition of meandering vine scrolls. 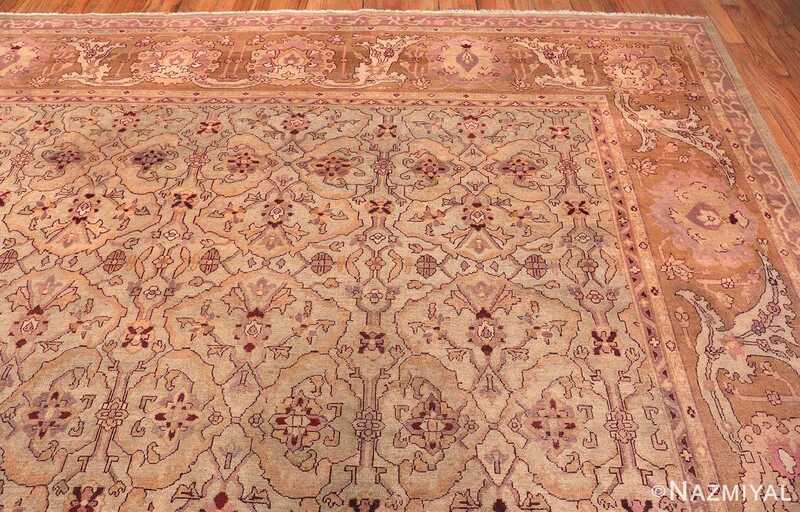 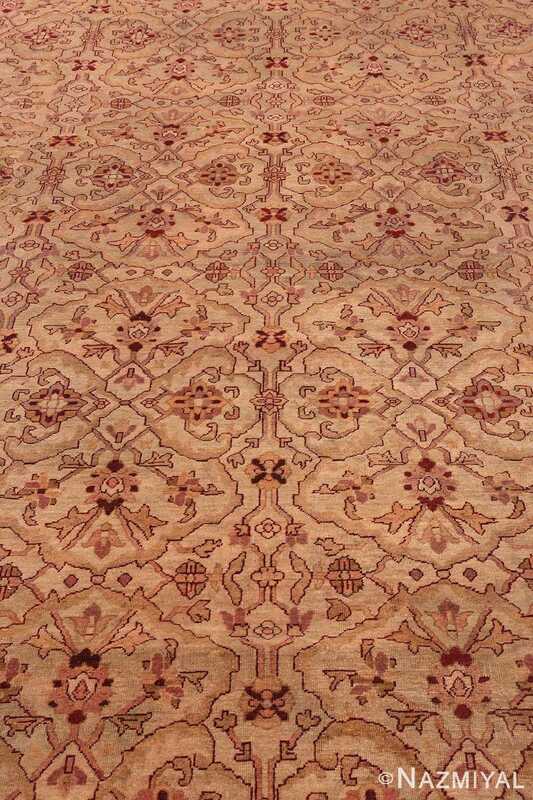 The combination of the elegant mauve and cream color designs, that are set against a lovely green background, make this border the most perfect complimentary aspect to complete this grand antique oversized Indian Amritsar rug. 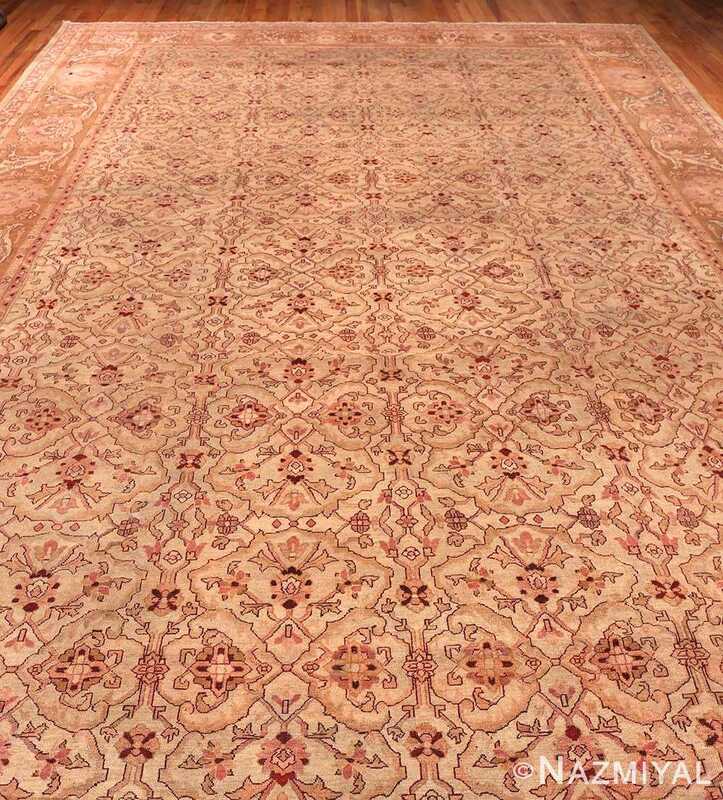 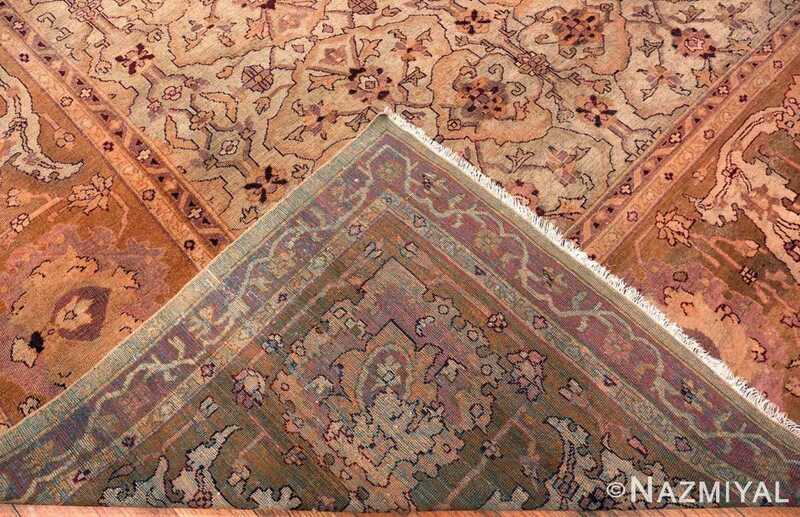 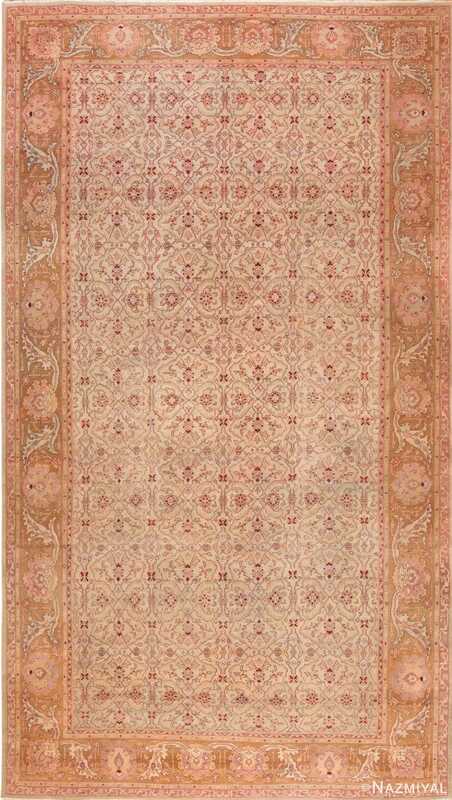 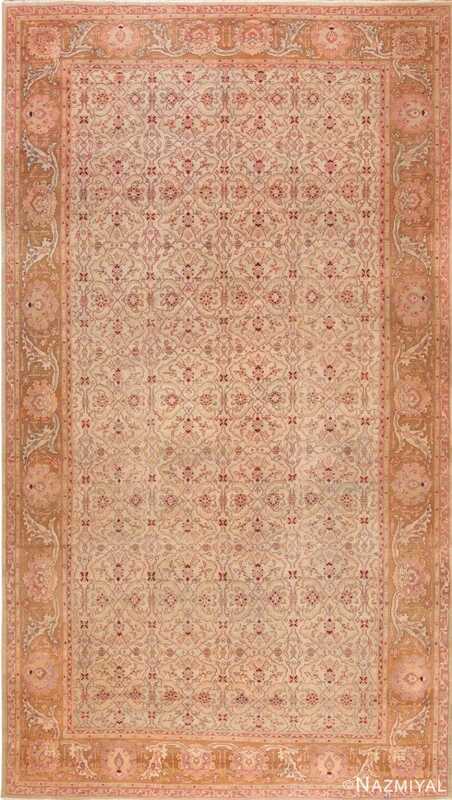 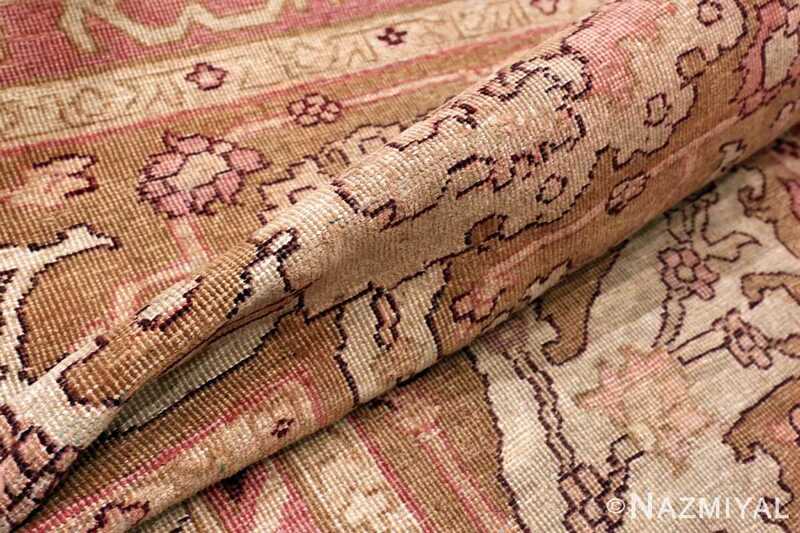 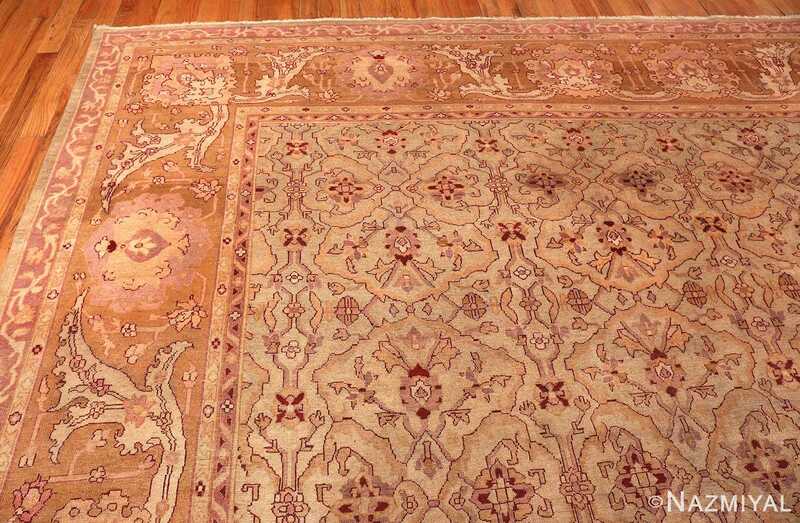 The design of the antique Indian rug is a repeating pattern that gives it a sense of order and balance. 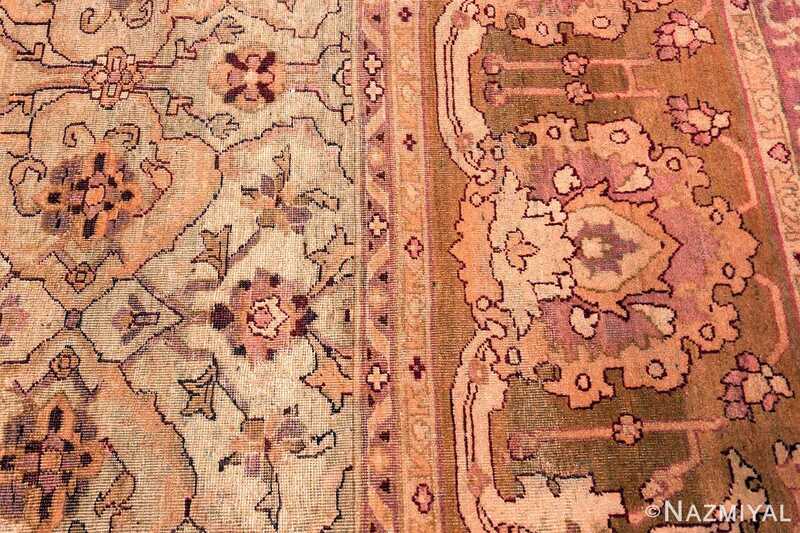 This balance is enhanced by the use of both horizontal and vertical symmetry. This technique will also help bring balance to the room design in which it is displayed. The motifs in this antique carpet have a high level of detail and it is apparent that great care was taken in the design of the antique Amritsar rug by the artist. This stately oversized antique Indian rug would be an excellent addition to a room decor that needs a bit of the grand royal touch. 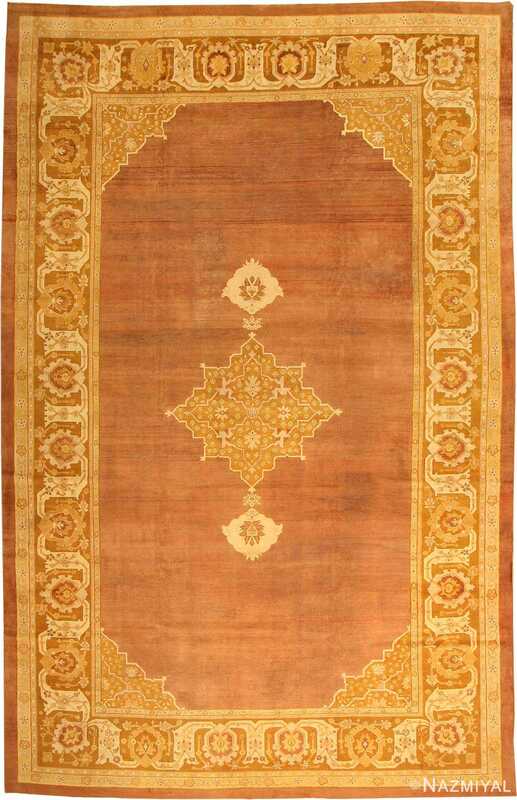 This is the kind of piece that will enhance everything around it to elevate the room’s interior decor to a whole other level.